Haiku is a very ancient form of Japanese poetry. It's basically three lines, but it's defined in the number of syllables per line and the nature of its subject. Haiku may look simple, but it's not. Traditionally, it centered around topics of nature, but its underlying message was much deeper than just a three-line verse on nature. The form is highly descriptive through metaphors and insinuated meanings. Just one Haiku poem can be read repeatedly with different meanings and messages being revealed with each reading. These lines reveal many considerations of what we see when we look into a mirror, what another person sees when looking into a mirror, what the world sees when looking into a mirror. And the reader is left with thoughtful ponderings on the nature of our very existence, wondering if we are all just another "forgotten soul". And the reader is left with multiple thoughts, ponderings and reflections, not just on his/her own life but also on the world all around. Complete with simple line drawings by K.R. 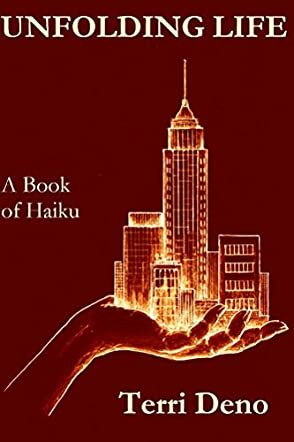 Smith, this little treasure will demand multiple re-reads, as Terri has taken a seemingly simple form of expression in the ancient art of Haiku poetry to reflect on more profound and deeply thought-provoking suggestions of the contemporary world. Fascinating.